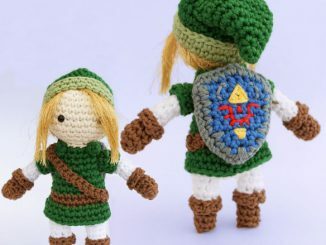 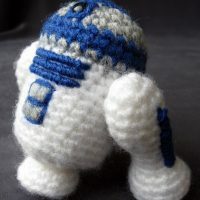 Today I learned a new word: Amigurumi. 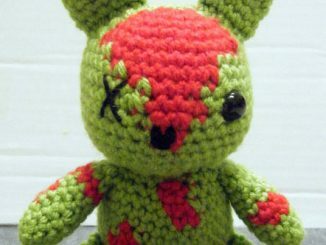 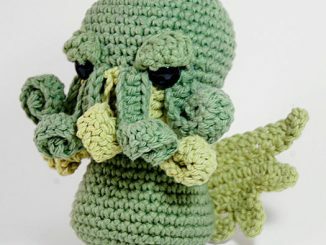 According to Wikipedia, Amigurumi “is the Japanese art of knitting or crocheting small stuffed animals and anthropomorphic creatures.” It sounds simple enough. 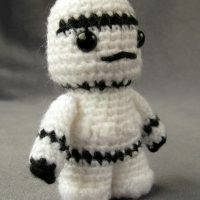 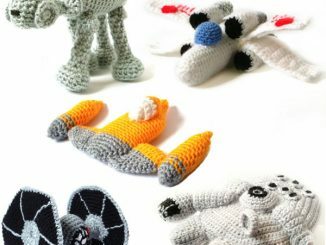 However, a picture is worth a thousand words, and you can see that these Handmade Star Wars Amigurumi are incredibly cute and just plain awesome. 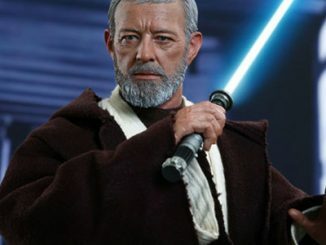 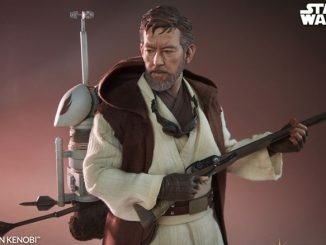 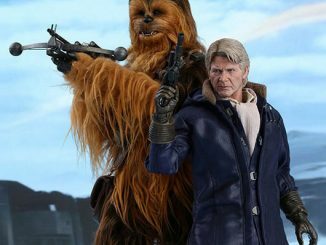 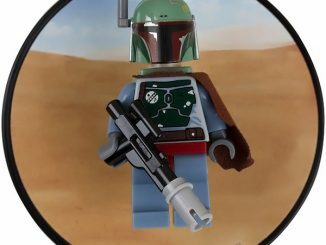 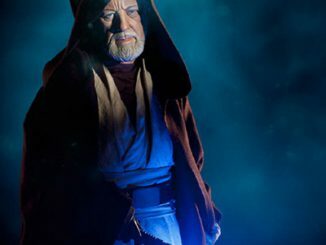 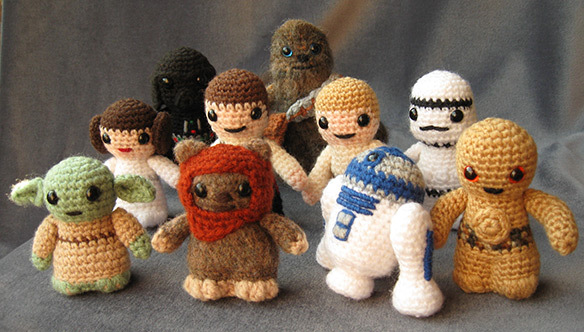 It is especially cool that there are many of the most popular characters from the original Star Wars trilogy including Darth Vader, Boba Fett, R2-D2, C-3PO, Luke Skywalker, Princess Leia, Obi-Wan Kenobi, Yoda, Han Solo, Chewbacca, an Ewok, and a Stormtrooper. 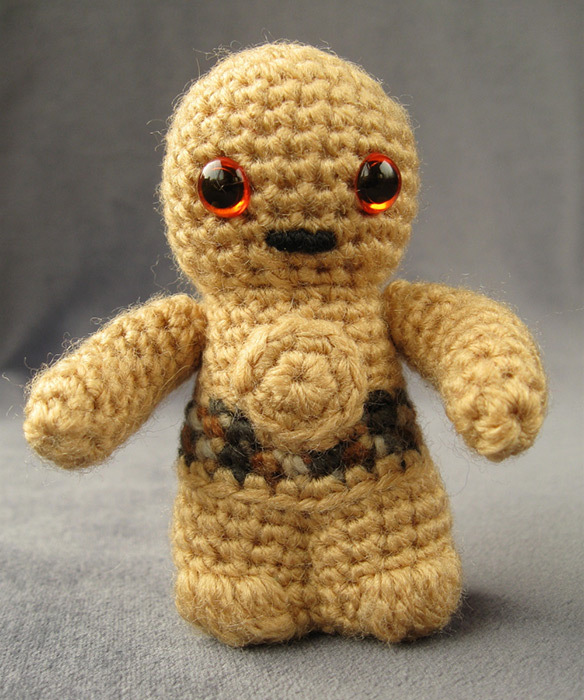 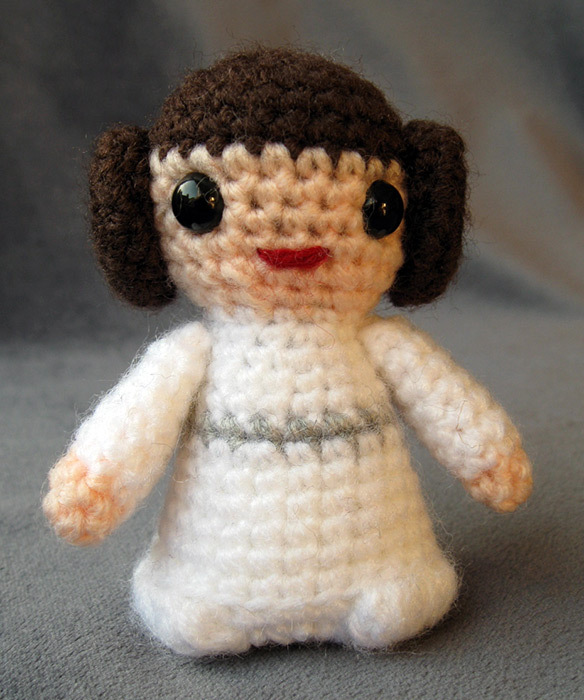 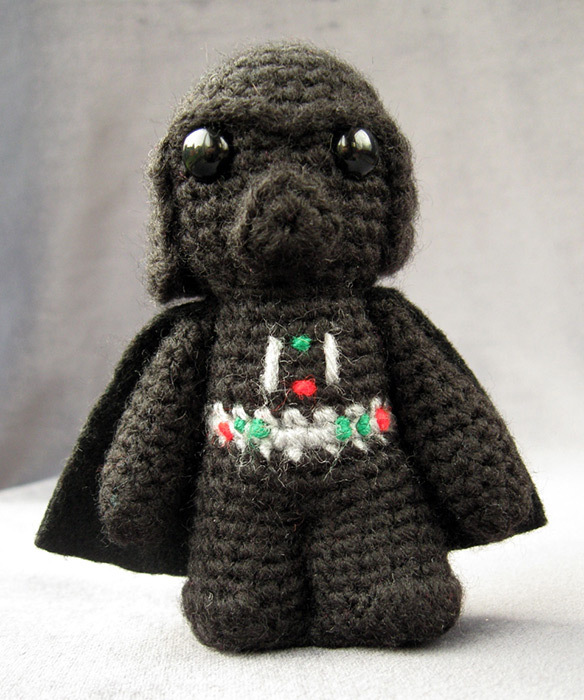 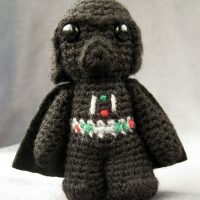 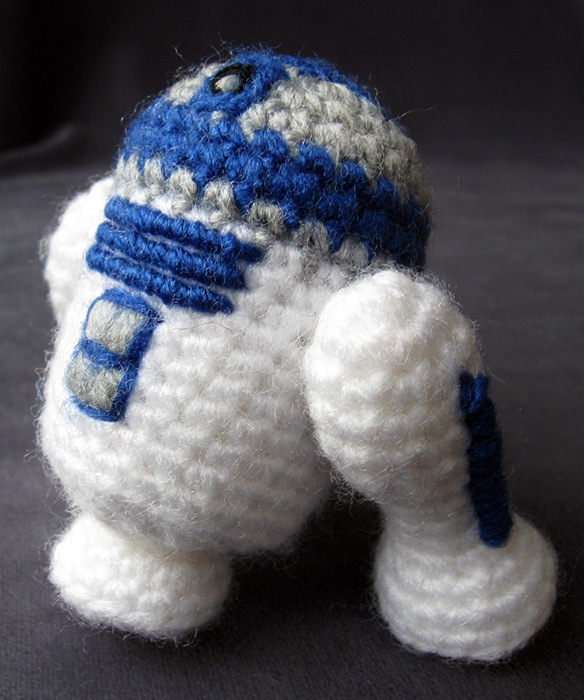 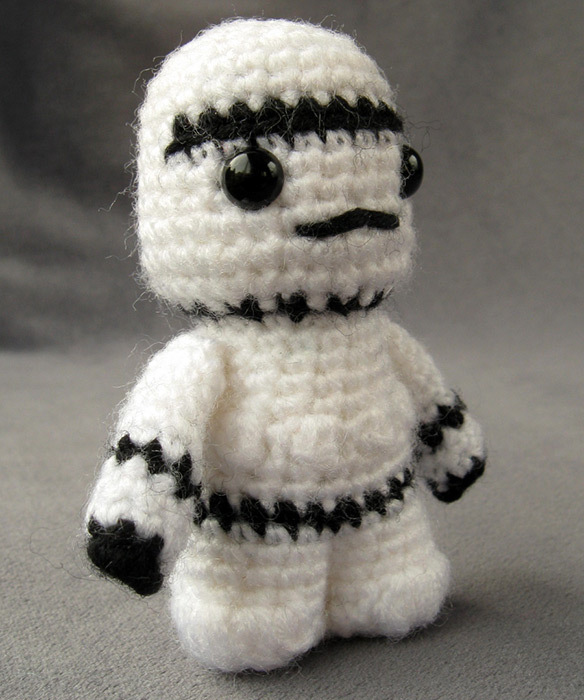 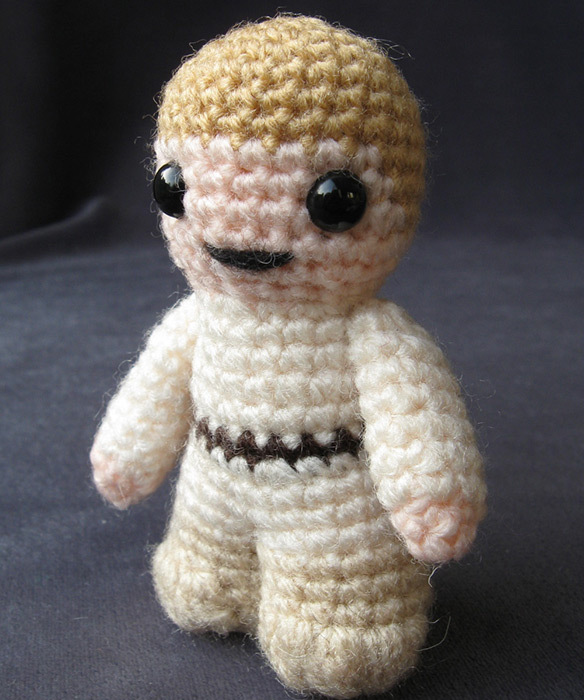 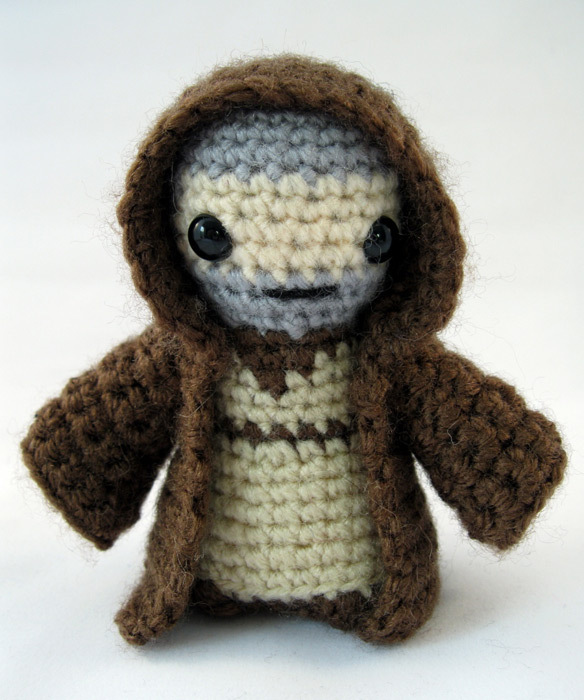 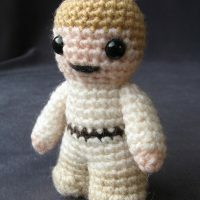 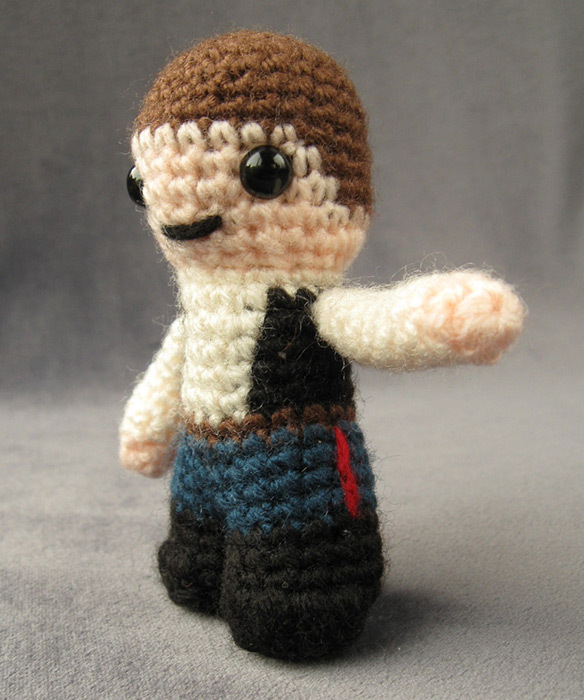 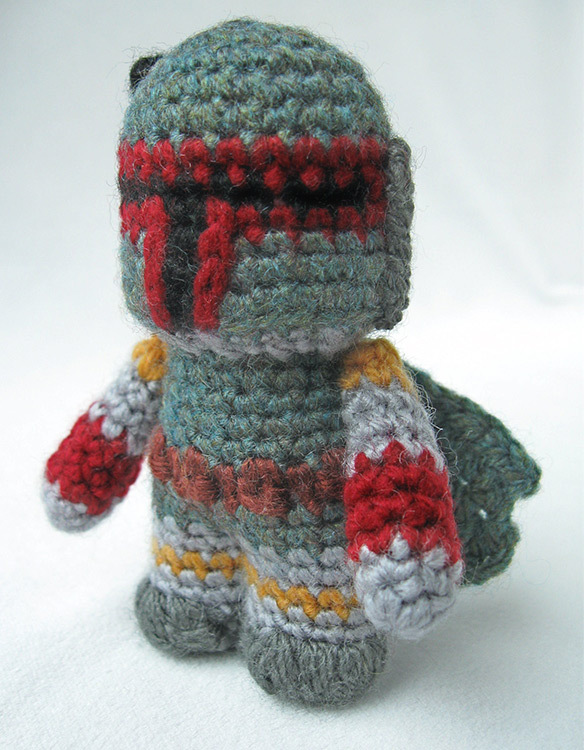 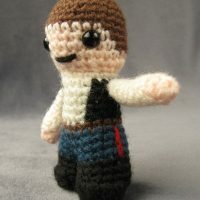 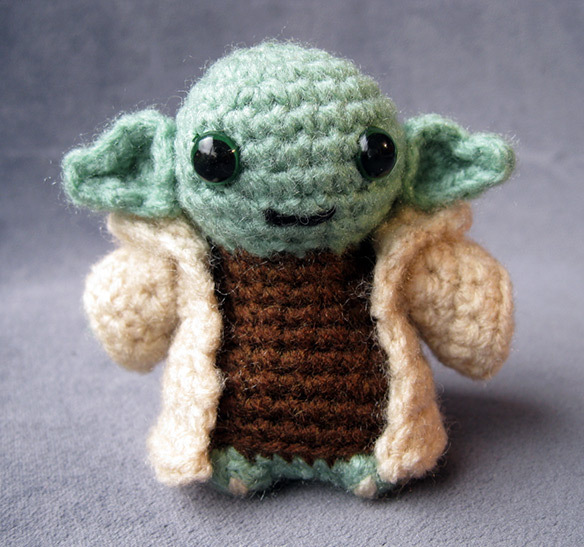 You can view more pictures of these Star Wars amigurumi on Angry Angel’s Flickr Account. 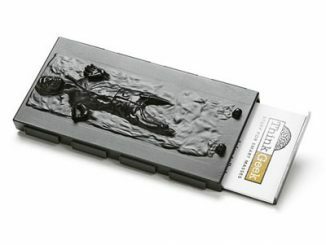 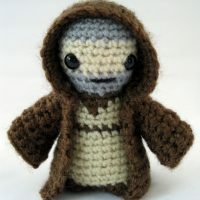 Interested in making your own? 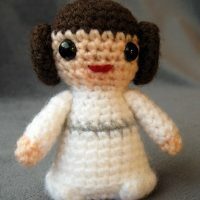 Visit the LucyRavenscar Page on Etsy and order the patterns. 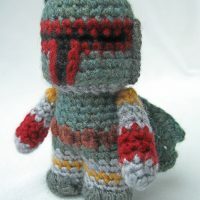 The Star Wars amigurumi are available for $3.50 each or $31.50 for the set of 12. 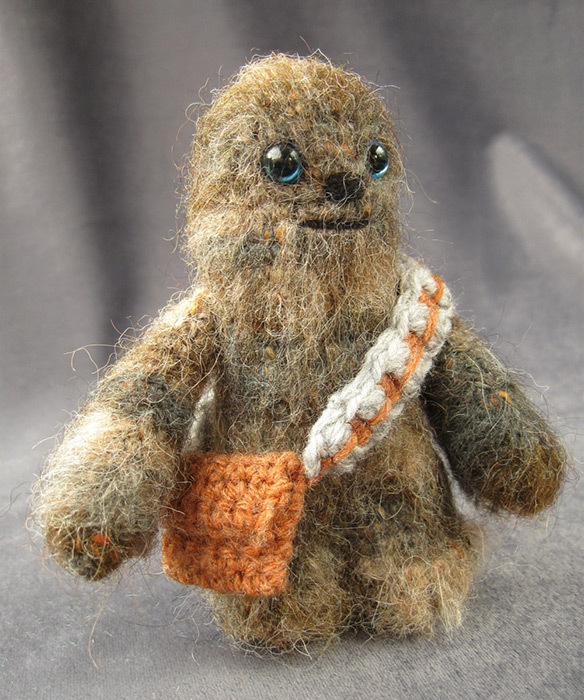 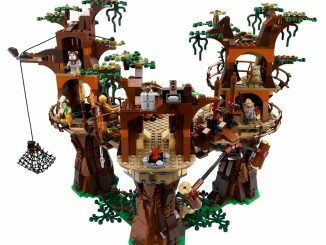 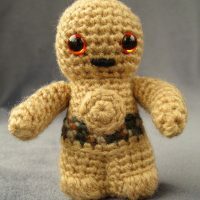 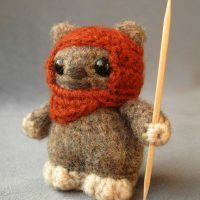 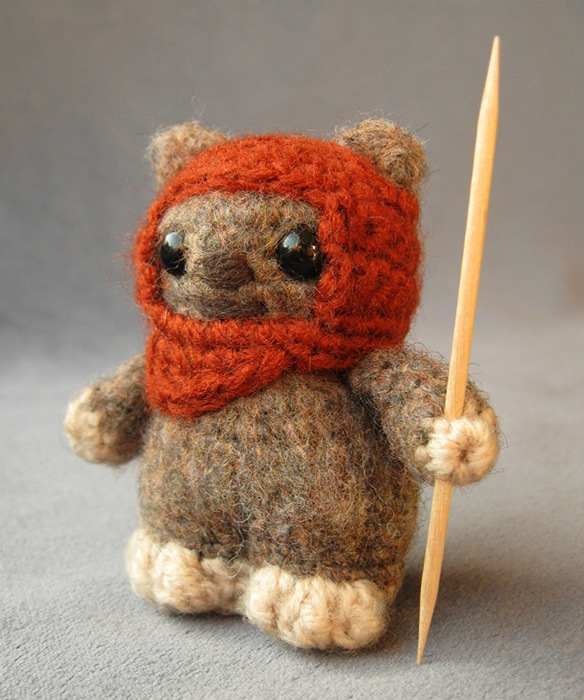 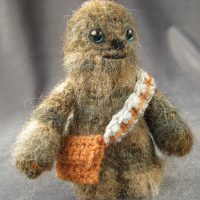 These are so cute that my sister sent me the link to see if I’d like to make the ewok. 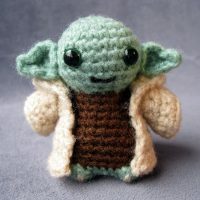 There’s a kit out that gives the patterns for the amigurumi, as well as materials for Yoda and a stormtrooper.